Raman Lamba, born January 2, 1960, was a top order Indian batsman who had an impressive start to his international career. Raman Lamba, born January 2, 1960, was a top order Indian batsman who had an impressive start to his international career. He was a prolific batsman at domestic level who, sadly, met his tragic end at the age of 38. Suvajit Mustafi lists about 10 things about the swashbuckling batsman. On the 1986 tour of England, in the second Test at Leeds, Raman Lamba walked-in as a substitute fielder to Krishnamachari Srikkanth. Later, Srikkanth arrived on the field without alerting Lamba. As a result, India fielded 12 players for one entire over of Ravi Shastri. The umpires became aware of the situation after the completion of the overs, following which Lamba return to the pavilion. He scored 320 in the Duleep Trophy final in the 1987-88 season. It’s reported that Lamba was so disappointed on not getting a quadruple hundred that he came back to the dressing room and smashed a glass pane while venting out his frustration. Lamba was a colourful personality off the field. He was flamboyant. He was tall and handsome with looks that would have done justice to being a film hero. 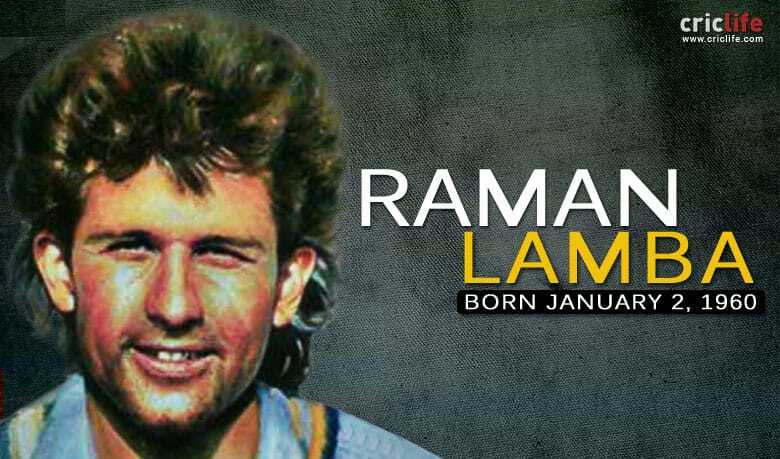 Raman Lamba’s nickname was “Rambo”. It could have been because of his buccaneering approach to batting or his Hollywood looks or both. 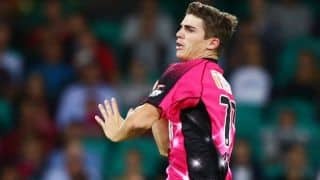 In what was one of the most infamous incidents in Indian cricket history, Lamba was involved in a nasty brawl with Rashid Patel in a 1990-91 Duleep Trophy final. Both Lamba and Patel, had been getting on each other’s nerves throughout the match, but on final afternoon it turned ugly. 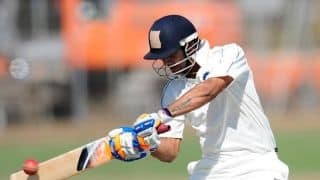 Lamba, who had scored 180 in the first innings, kept taunting Patel, who aimed a beamer at Lamba’s head and then pulled out a stump and attacked the batsman with it. This forced Lamba to defend himself with his bat. A crowd riot ensued, the match was stopped and both Lamba and Patel were suspended for 10 and 13 months respectively. On February 20, 1998, Lamba was fielding for Abahani Krira Chakra against Mohammedan Sporting in Dhaka’s Premier League at the Bangabandhu Stadium. He was fielding in the outfield and then asked to field at the short-leg by Abahani Krira Chakra’s stand-in skipper Khaled Mashud. Since it was just for three balls of the over, Lamba didn’t wear a helmet. It was a short ball, batsman Mehrab Hossain pulled it hard and hit Lamba on the forehead. The force of the hit saw the ball rebound to wicket-keeper Mashud. Lamba was down on the ground on impact, but got up soon and left the ground reassuring he was fine. But he soon felt unwell. He was rushed to hospital where he lost consciousness. A specialist was flown in to Dhaka from Delhi but with no hope of recovery, on the third day, Lamba’s life support was turned off with the approval of his family. Lamba’s wife Kim, now settled in Portugal with their two children, still sleeps with her husband’s favourite cricket ball under her mattress and carries in her purse the last rupee coin he gave her. After Phil Hughes’ death last year, Delhi captain Gautam Gambhir planted two saplings at Roshanara Club ground in memory of the Australian cricketer and Raman Lamba.